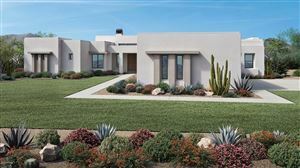 Turquesa is a new gated on a 40-acre single family home community by Toll Brothers, located West of Scottsdale Road, with an gated entrance off of Peak View Road. Turquesa has a total of 20 homes, sizes range from 3,958 to 4,898 square feet. Turquesa homesites average 2 acres with views of Pinnacle Peak and surrounding mountain ranges. All Turquesa are single story, and Toll Brothers offered many options to expand the six (6) floor plans offered (Azure, Belamour, Solandra, Trovilla, Cholla, and Vacaro). See all Turquesa Estates - Desert Foothills.